in their production processes, from necklaces and smartphones to tea and chocolate." as they take a break from their work at a factory that makes metal utensils. The boys earn less than $5 per week." "A restaurant in the city of Modena, Italy, has been named as the best restaurant in the world." "About 60 million people around the globe have been forced to leave their homes to escape war, violence and persecution. The majority have become Internally Displaced Persons, meaning they fled their homes but are still in their own countries. Others, referred to as refugees, sought shelter outside their own country. But what does that term really mean? Benedetta Berti and Evelien Borgman explain." "The race is on to get driverless trucks on the roads, and experts say the impact on professional drivers ‘is going to be huge’." Nissan, Toyota, Audi and the ride-hailing service Uber are among those also working on a self-driving technology. Volvo intends to test them on London roads next year." with many women braving daring millinery and flamboyant dresses." "In Bangladesh, one of the world’s most polluted cities has led the way globally in ridding itself of harmful PM10 particles." The city began tackling transport issues in 2004, importing a fleet of battery-powered rickshaws from China, and banning large lorries from the city centre in daytime. The three-wheelers are the main form of public transport, and their batteries keep the air free of the petrol and diesel fumes that hang over other cities." "Weapon on offer at a New Hampshire dealership is similar to the one used in the Orlando LGBT nightclub shooting and the San Bernardino shooting." "Canada's parliament has passed a contentious bill to allow medically-assisted death for terminally ill people..."
Assisted suicide is currently legal in just a few countries, including Switzerland, the Netherlands, Albania, Colombia and Japan. The practice is legal in the US states of Washington, California, Oregon, Vermont, New Mexico and Montana." "President Obama speaks in Orlando after meeting with survivors and family members affected by a mass shooting last weekend." stemming from a high international demand for their meat and scales in Asian markets. " While scavenging for food, RJ the raccoon enters the cave of Vincent the bear, his only friend who has a large wagon full of human food taken from a nearby rest stop. RJ accidentally wakes Vincent from his hibernation, and in a race to escape, causes the stash to roll out onto the nearby highway and get run over. To avoid being eaten himself, RJ promises Vincent that he will completely replace the stash within the week..."
Thanks to Miss A. (Tunisie): "super film d'animation exploitable en 4ème sur la ville (American suburb) et la junk food." Orlando shootings: Would Trump’s national security plan work? "Republican presidential candidate Donald Trump says US counter-terrorism efforts are "terrible" - and that he has a way to make the system better. Is he right? And are his proposals really new?" "Hillary Clinton is making history. She now has enough delegates to win the Democratic Party nomination for president. That’s the first time in America’s history that a major party is nominating a woman for president, though other women have run. Why has it taken so long?" dedicated to raising awareness of the situation of refugees throughout the world. In this lesson, pupils learn what a refugee is by reading a definition, some statistics and some information about how refugees might feel. Students are encouraged to put themselves in the place of a refugee and consider how they might feel at leaving behind their homes and belongings. They can also watch a short video produced by UNICEF, in which two brothers talk about their journey from Syria to Germany..."
and provides extended practice of this structure. It engages the students visually and integrates all four skills. The students will produce a newspaper travel review of two ‘island' destinations. The end product is authentic looking and the process very motivating and fun." "Watch the movie segment. Speculate about the reasons why the main character and her daughter are leaving everything behind in such a hurry. "The killing of 49 people Sunday at a gay nightclub in Florida has led to new calls for gun control. One proposal would ban military style weapons, such as the one used in the Florida attack. But the proposals are likely to fail, as they did after earlier mass killings." "A military style rifle was one of the weapons used in the Orlando shooting. A member of the United Nations commented that the United States needs to be more responsible and take action against gun control. Zeid Ra’ad al-Hussein’s remarks came following the worst mass shooting in American history." "A gunman has killed 50 people and wounded another 53 at a nightclub in Orlando, Florida. It was the worst mass shooting in U.S. history. The gunman used an assault rifle and a handgun. He shot inside the crowded nightclub before dying in a gunfight with police." "It is the worst mass shooting in U.S. history. The previous deadliest mass shooting in the U.S. was the 2007 attack at Virginia Tech. A student there killed 32 people before killing himself." "People in Britain will soon vote on whether or not to stay in or leave the European Union (EU)"
"Some of the world’s top robot innovators recently gathered to show off their best machine workers. One company demonstrated how machines can improve safety in mining and law enforcement. Another showed how robots can help people in wheelchairs navigate through pre-programmed paths." "In many places in the world, the sea is a place where people escape the heat. It is also a place where many American English expressions originate. But you can use them anywhere! Read on to learn sea expressions and how to use them." à Ax-les-Thermes (Ariège). Le thème retenu pour cette 16ème édition est « Espace langue et espace temps ». ou d’y faire entrer des personnes et des ressources. De même, le temps d’apprentissage n’est plus limité à l’heure de cours. et s’entraider en dehors des temps prévus dans l’emploi du temps de l’élève. L’inscription a lieu à partir du 1er juin directement sur le site Ludovia. "Isil claims responsibility for Pulse nightclub attack in which Omar Mateen gunned down 50 in America's worst ever mass shooting." "On June 12, 2016, a mass shooting occurred at Pulse, a gay nightclub in Orlando, Florida. of violence against LGBT people in U.S. history, and the deadliest terrorist attack in the U.S. since the September 11 attacks of 2001." "Vigils are held in the wake of a mass shooting at a gay nightclub in Orlando, Florida - here's a round-up of tributes across the globe." in the United States are turning a blind eye to unfolding plots, as he outlined an aggressive response to the deadly attack in Orlando." "Three days of events mark the Queen's official 90th birthday celebrations." "Anouska Lancaster wears a hat by Pearls and Swine." 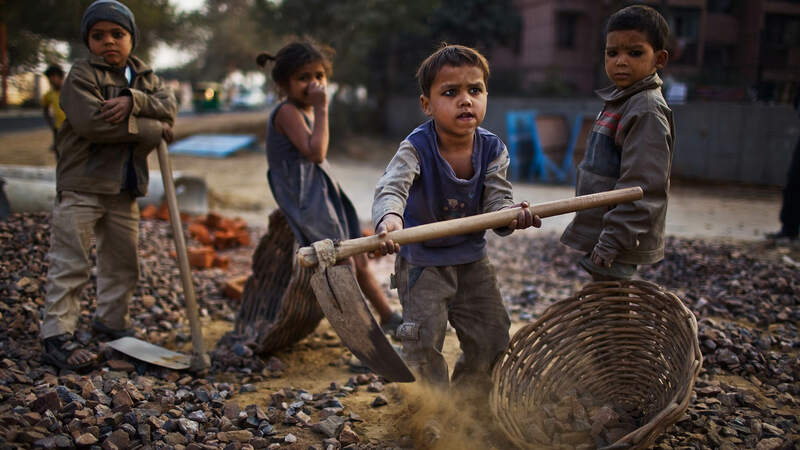 forced labour, beatings and death, Unicef said." "Rock group Queen, featuring Adam Lambert, pay tribute to the Orlando shooting victims as they close the Isle of Wight Festival." "The 2016 Global Nutrition Report said 44% of countries were now experiencing "very serious levels" of both under-nutrition and obesity. It means one in three people suffers from malnutrition in some form, according to the study of 129 countries...."
"As autonomous vehicles rack up more and more miles on our roads, the odds of a fatal accident are shortening by the day. How will we react?" Chris Dancy "is touted as “the Most Connected Human on Earth,” and the world is watching those connections carefully." "Chris entered the public dialog concerning digital health as the media started to focus on wearable technology. - from his calorie intake to his spiritual well-being..."
As long as the gods..."
Finding Forrester "is a 2000 American drama film written by Mike Rich and directed by Gus Van Sant. An African-American teenager, Jamal Wallace (Rob Brown), is invited to attend a prestigious private high school. through whom he refines his talent for writing and comes to terms with his identity." Queen Victoria’s 1842 ivory-mounted phaeton, accompanied by mounted troops from the Life Guards and Blues and Royals." as the royal procession makes its way up the Mall to Buckingham Palace." "Will the nation’s decision on 23 June make you richer or poorer? We address the key consumer concerns." "Police in Sudan have arrested one of the world's most wanted people smugglers." "Life can be difficult for people all over the world. Some people work hard to get everything they want or need. Other people are happy with what life gives them. Read about one man who hopes to get just enough to survive in this classic American short story, 'The Cop and the Anthem,' by O. Henry." "Un travail pour les 6èmes avec l'évasion de Jim Ricotti et les verbes irréguliers. Le document permet de reconstituer une B.D. de son évasion. L'année se termine et peut-être que des collègues ayant New Spring 6ème seraient intéressés par ce cours..."
"U.S. President Barack Obama has officially endorsed Hillary Clinton, his former secretary of state, for president. He gave his endorsement in a video published online. “I want to congratulate Hillary Clinton on making history as the presumptive Democratic nominee for president of the United States."